A homeschool co-op happens when two or more homeschooling families get together to study a particular topic. Co-ops are a great way to provide your children with social time as well as to have the chance to do group activities that are often hard to do as homeschoolers. 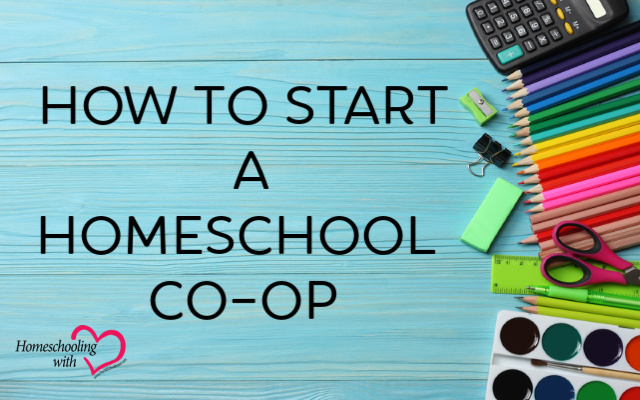 Here are five tips for making your homeschool co-op work. 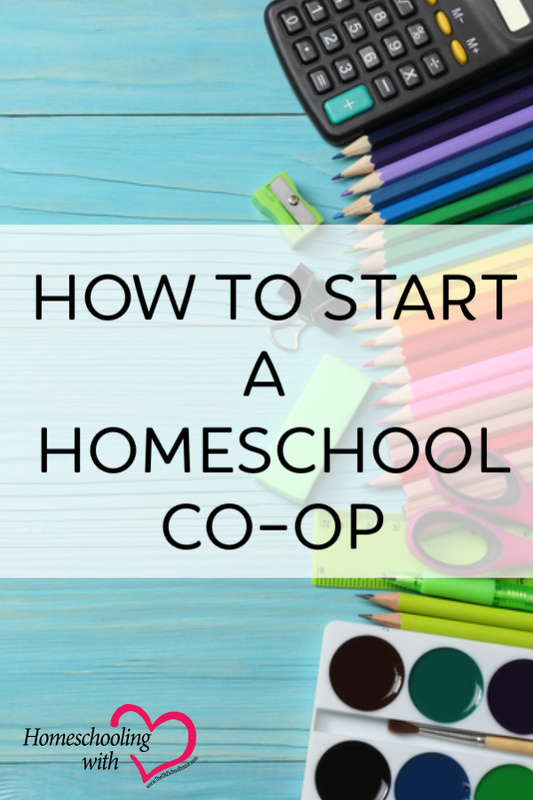 First, chat with other homeschool moms about forming your homeschool co-op. I recommend reaching out to moms whose kids are roughly the same age as yours (though a couple years’ older or younger doesn’t matter). It’s also helpful if the other families are in the same area as you, to reduce driving time (though this isn’t always possible). Finally, you’ll want to find a homeschooling family whose educational goals and styles align roughly with yours. What topics do you want to cover in your homeschool co-op? You may choose to do something that’s hard to do with just a few students, like physical education. We were part of a “sport co-op” for several years that met bi-weekly to play group games such as Crab Soccer or British Bulldogs. Maybe you want to do a topic that your children aren’t excited about, as they’ll have more fun doing it with friends.Currently, we are doing a history co-op with four other families, and meet bi-weekly to do crafts and games that bring Canadian history alive for our kids. How often do you want to meet to study your topic? You could meet weekly, bi-weekly, or monthly. Maybe you can cover your topic in a couple hours, or maybe you need the whole day. Look at the year and remember to plan for holidays and other events that may affect your school schedule. Each family will have to consider their other commitments and how much time they can contribute to the co-op, as well as what day works to meet. It’s best to set the schedule at the start of the year so that everyone knows when co-op is happening. Once you know how many people are participating, how often you want to meet, and what sort of activities you’ll be doing, it’s time to choose a venue. If one family has a large home, or your co-op is small, you may be able to take turns hosting. Our co-op has five families with about twenty-five children, so we found a local church hall to rent. You could also plan a co-op around field trips and meet at different places around the city. During the summer, you could gather at playgrounds and plan activities there. Or you may be able to find community halls or non-profit locations which will allow you to use their space. Gather the moms for a meeting before the co-op begins to discuss what you each want to get out of the co-op. Set expectations ahead of time so everyone knows what will happen. How often will you meet? What time? Where? How much will it cost? What will each person have to bring? What happens if one family cannot come? Will you have snacks or food at the co-op? Do any families have allergies? What topic will you cover at each co-op? Who will plan and lead activities? For our history co-op, we divided the kids into three age groups: preschool, grades K-2, grades 3-5, and grades 6 plus. Each of us moms took responsibility for one group, planning the activities for that group, while one mom remains a “floater” who helps where she’s needed. We each bring the craft supplies for our group, and then pay each other back for those supplies. One mom has the schedule and sends out email reminders about the topic we are covering, while another mom liaises with our venue. 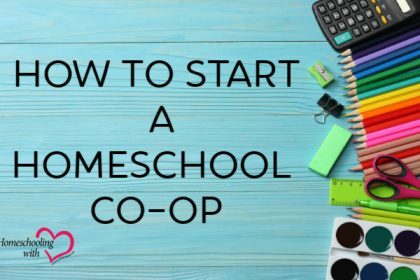 I hope these tips will help you to plan your homeschool co-op. Homeschool co-ops are a great way to enjoy all the benefits of homeschooling while building your homeschool community. Bonnie Way is a stay-at-home mom with five children ages 11 to 1. She has a Bachelor of Arts degree in English with a history minor and loves reading historical fiction. Bonnie enjoys downhill skiing in the winter and biking with her kids in the summer. When she’s not homeschooling, she can be found blogging as the Koala Mom. This was a great way to break it down. I wanted to start one here, but sadly I don’t think I have the stamina. If your co-op grows large enough that you need a bank account, it’s time to get more organized as a nonprofit organization. My website HomeschoolCPA.com can help with that. I also have a book on stating and running a homeschool Co-op.